If you want the “recipe” I can e-mail them to you. 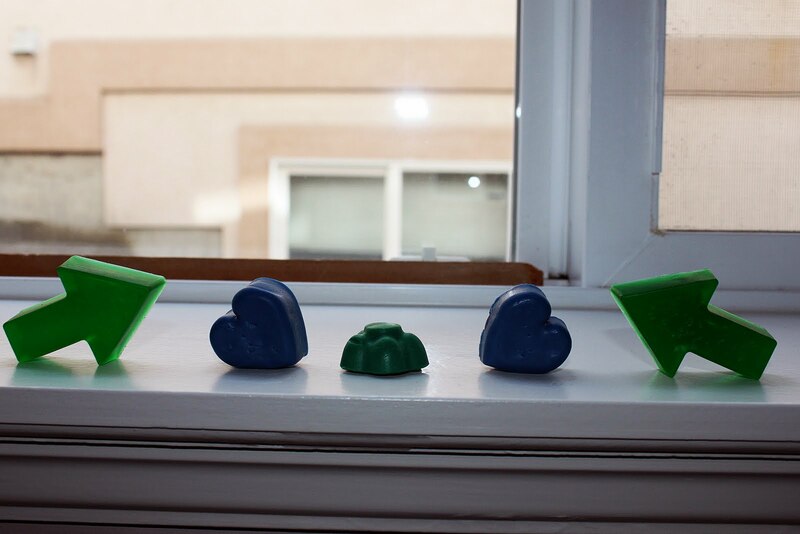 Or, you can check out the Soap Queen’s melt and pour blog posts! Just beware of the color mixing, Victor said the hearts were supposed to be pink (Yikes! ).